On television, he is the "won't crack a smile" judge for such Food Network shows as Iron Chef America, The Next Iron Chef, Extreme Chef and now Alton Brown's Cutthroat Kitchen. 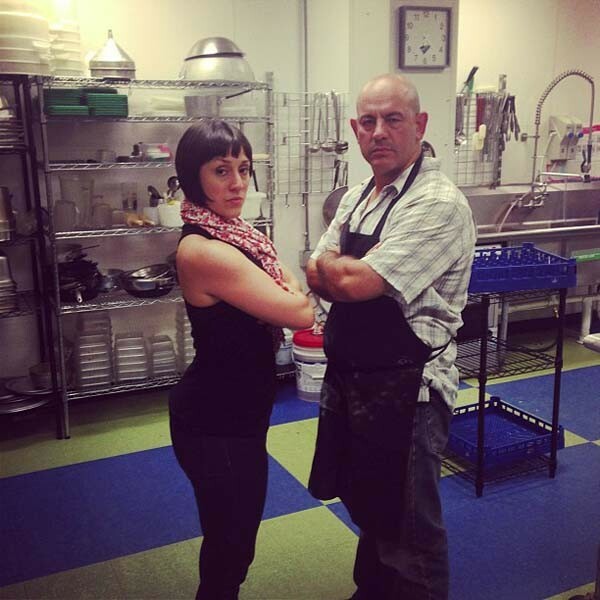 The day I met Simon Majumdar, he was fresh off the road and now mixing pasta dough, his face flecked with flour, as he helped prep for an upcoming farm to table dinner being held just outside the Queen City. Not too long ago, Majumdar scribbled the phrase that would later become his mantra: Go everywhere, eat everything. Since then, he has traveled to 72 countries, written two books and become a staple on the Food Network. Majumdar was in the Queen City working on his third book Fed, White and Blue, which chronicles his journey to becoming a true American citizen through his favorite subject, food. Majumdar, originally from the U.K., is traveling the United States and joining food folks from across the nation to work, learn and eat his way through American culture. Having just spent a few days with a guy named Johnny Tigertail, Majumdar was now in town visiting former Extreme Chef contestant, Susanne Dillingham (aka The Tiny Chef), and her culinary partner in crime, Craig Barbour, owner of Roots Food, as they prepared for the third annual Soil to Soul farm dinner. Over a bushel of corn, we shucked and chatted about his journeys, the gathering power of food and his least favorite ingredient. Creative Loafing: What is it about food that brings people together? Simon Majumdar: Food is a universal thing. Everyone has to eat and it's kind of hard to argue when you have a mouthful of ribs. You can't say in one breath, "I hate your guts" and then, "Please pass the potatoes." You've traveled to over 72 countries and have eaten with people from all over the world. On TV, you've eaten and judged food by some of the most accomplished chefs in the nation. How do you suss out good food and does it matter whether it's highfalutin or low country? Good food is where you find it. It could be a two dollar taco from a food truck in L.A. [in Simon's British accent, that's 'tack-o'] or it could be a thousand dollar dinner at The French Laundry. The bottom line is that good food is done by people who give a damn. In some restaurants, I swear you can taste the cynicism. What is your least favorite ingredient? All bets are off if you use truffle oil. It is my least favorite ingredient in the whole world. I absolutely loathe it. It's like a bad copy of a masterpiece.